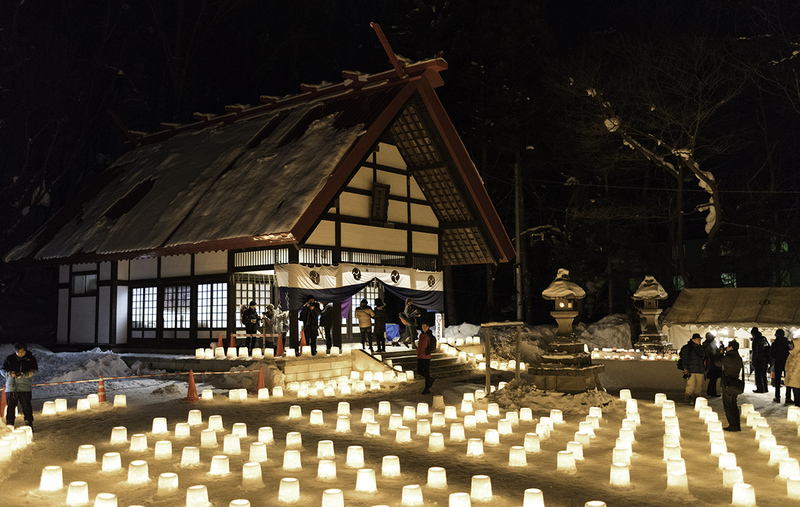 One of our main reason to go to Japan in Winter was the Snow Festival in Sapporo. So after two days in Tokyo - where we also took the chance of the good weather and visited Mt. Fuji - we headed straight to Hokkaido. Upon arrival in Sapporo we picked up our rental car for which it was necessary to get a translated drivers license. 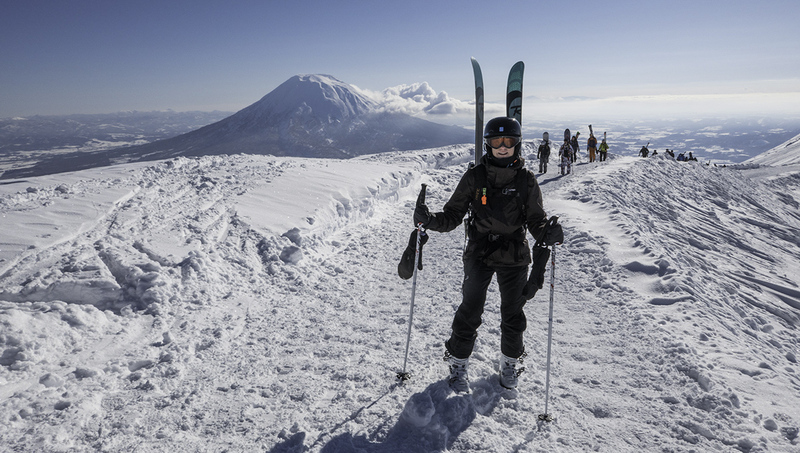 Through snowy landscapes we drove to one of the most famous ski resorts in Japan – Niseko. 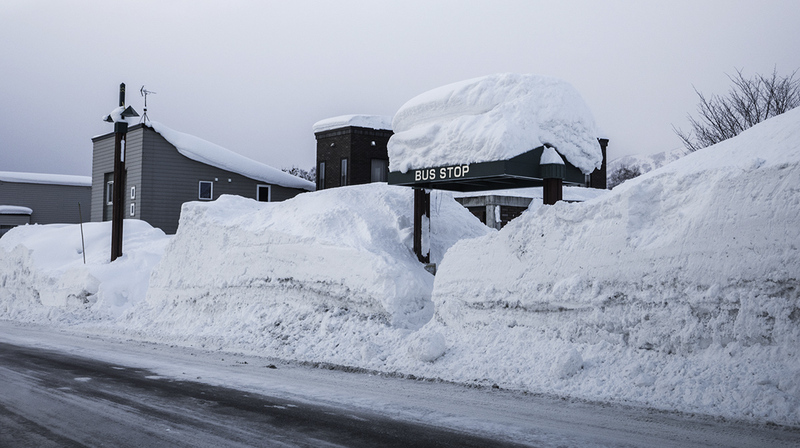 We were staying in a very small town nearby and on the day we arrived it was snowing quite heavily…so driving conditions were rather difficult with low visibility - especially during dusk. On our way back to Sapporo we stopped for a night in a little town called Jozankei. There was held a snow candle festival during this period which we wanted to see. This town is very famous for its hot springs and we really enjoyed our small "Onsen“ right above our AirBnB apartment. 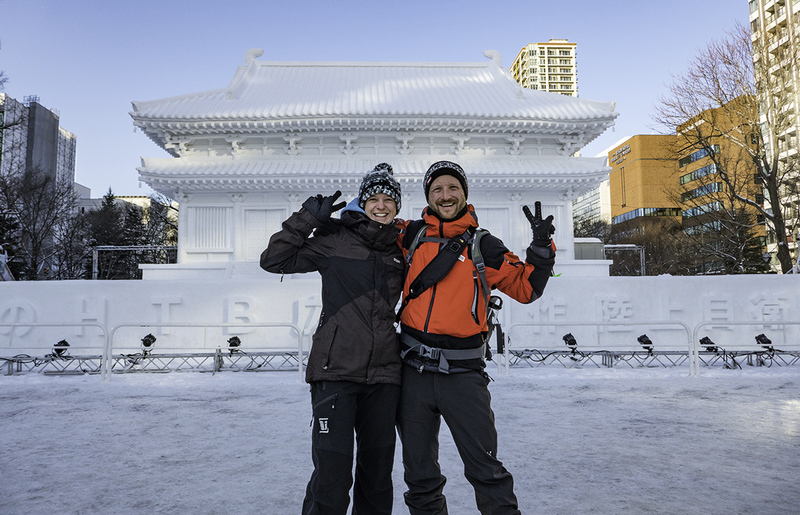 We stayed in Sapporo for 3 days and every day we went to the Snow and Ice festival for several hours. We usually went once at daytime and then again in the evening when it was getting dark and the sculptures got illuminated and shows took place. It was cold but not super cold. In between we also found some very nice, non-touristy places which we enjoyed a lot and also tried one of Hokkaido’s specialities – we liked the Japanese Curry Soup sooo much! 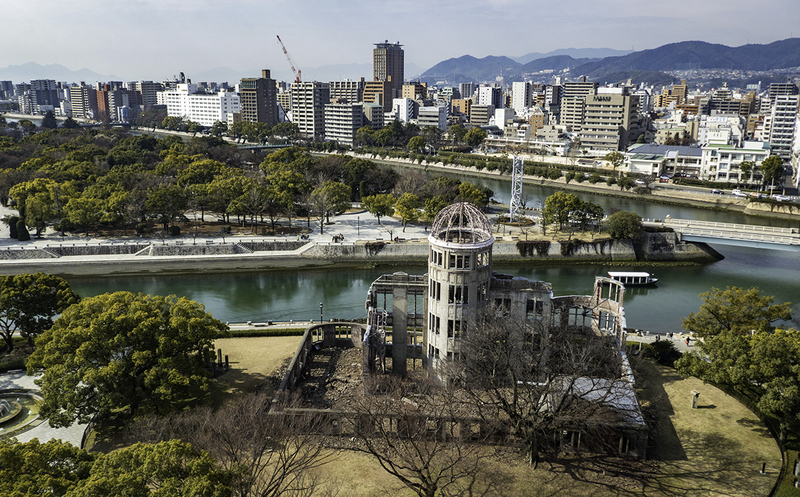 After our time on Hokkaido was over we took a plane down to our most south-western point of Japan – Hiroshima. From now on we were in possession of a two-week Japan-Railway-Pass - a flat rate for trains. We enjoyed Hiroshima and our freedom to just hope on a train to go somewhere else. 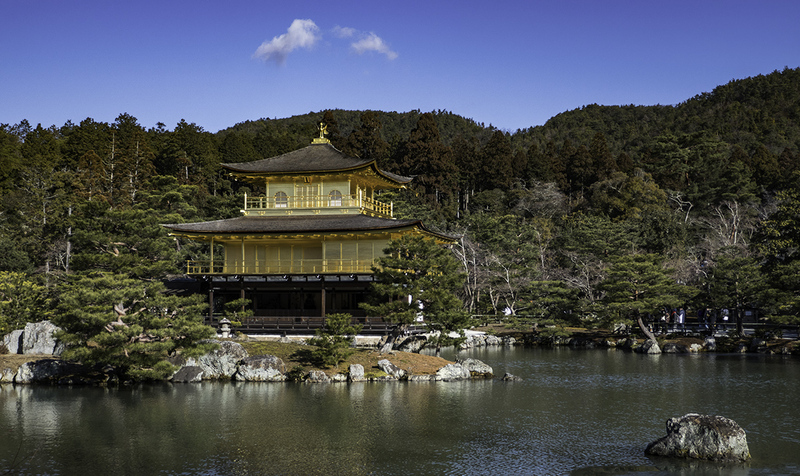 We did a half-day trip to Miyajima and another one to the Buddhist temple Mitaki-dera. We liked this place a lot even though or maybe especially because it was rather misty and grey and raining – for the FIRST time in Japan! (As it turned out this was one of only 2 rain days within one month). Our next stop was Kyoto where we spent almost one week. 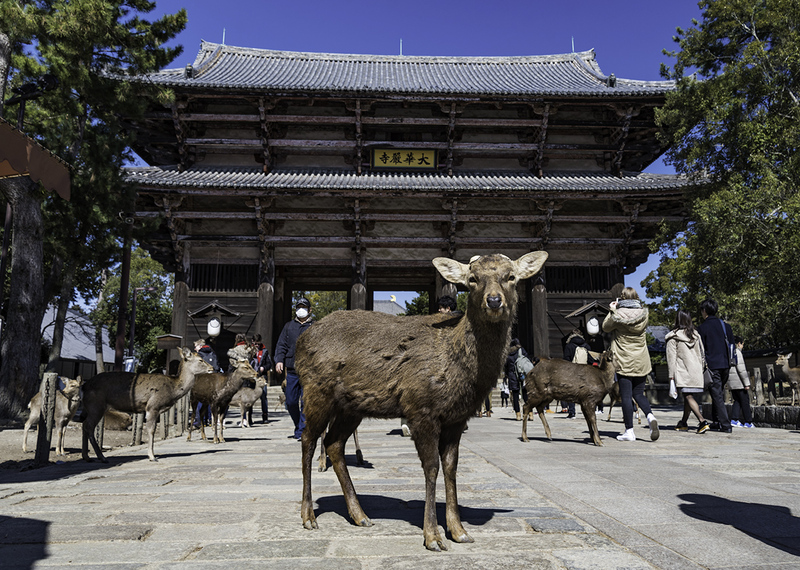 Of course we explored the city itself but we also used it as a base to explore nearby places like Nara, Inari or Himeji Castle. Well you can’t exactly call Himeji Castle nearby as it is 180km away but with fast and punctual Shinkansen it only took us 50 minutes to get there. So far there were almost no tourists so we were a bit spoiled. Kyoto was the first place which felt crowded to us. In Hiroshima and Kyoto it was around 10°C and there was no snow. 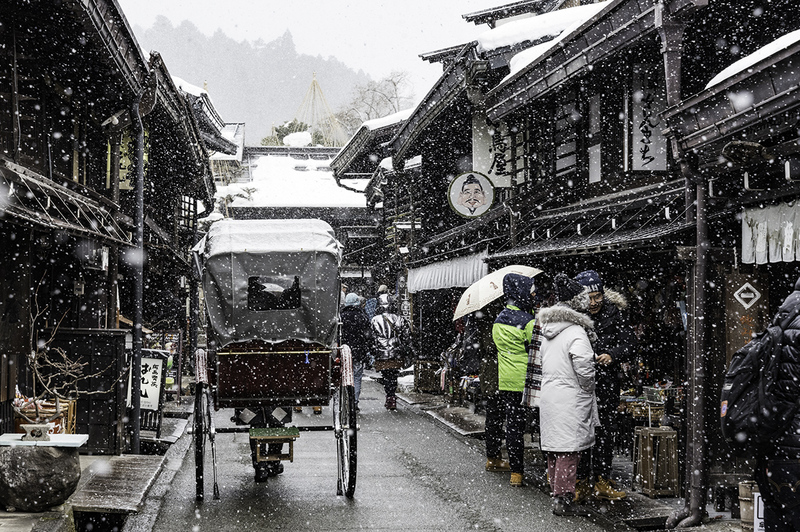 So after Kyoto we were looking forward to get back to some snow. 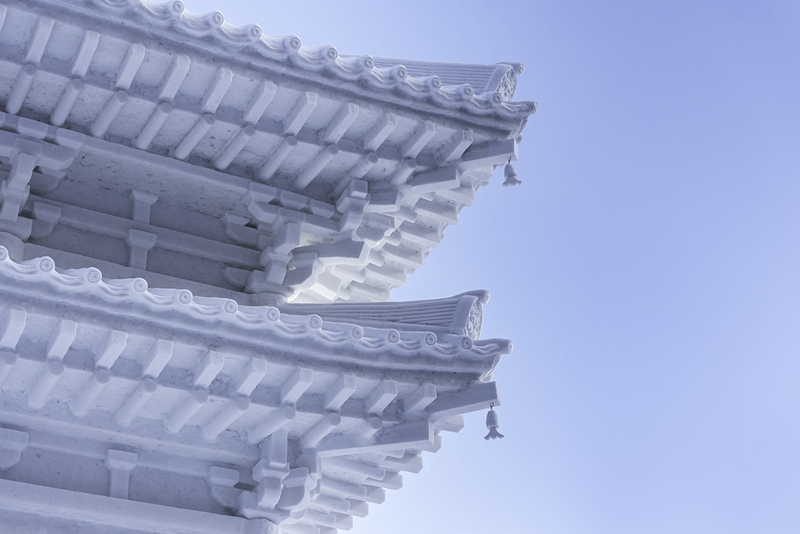 We planned to spend the next two days in Takayama and afterwards two more days in Yudanaka. Takayama was a very touristy spot even though the main attraction was basically one street. But as usual we escaped the crowds by either going there very early or late in the afternoon when all the tour busses had already left. And of course…as soon as we left the main attraction and walked a bit outside of town to the many surrounding temples we were all alone again. 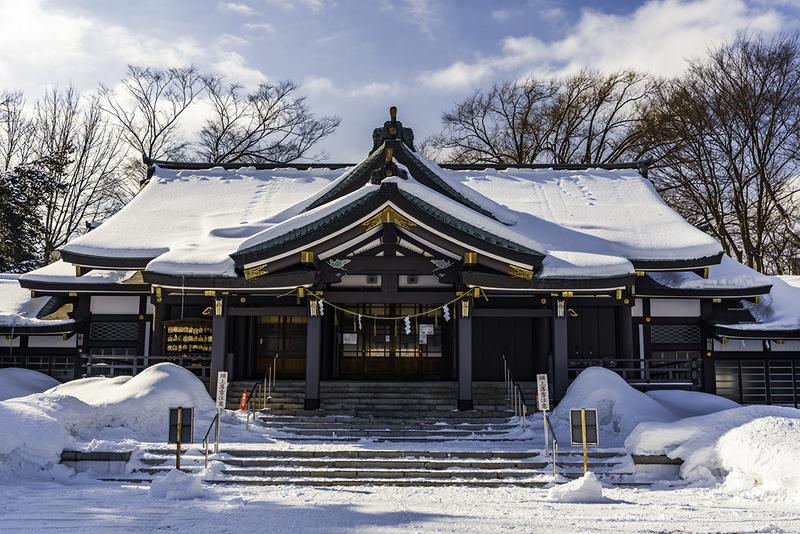 And we were very lucky because we got fresh snow overnight and the temples were covered in snow which made them look even more serene. 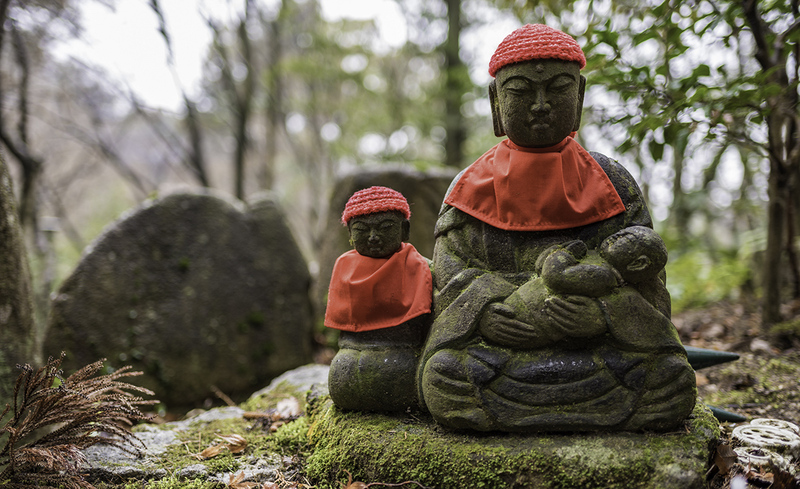 Our last stop was Yudanaka – a very famous spot because of the so called "snow monkeys". 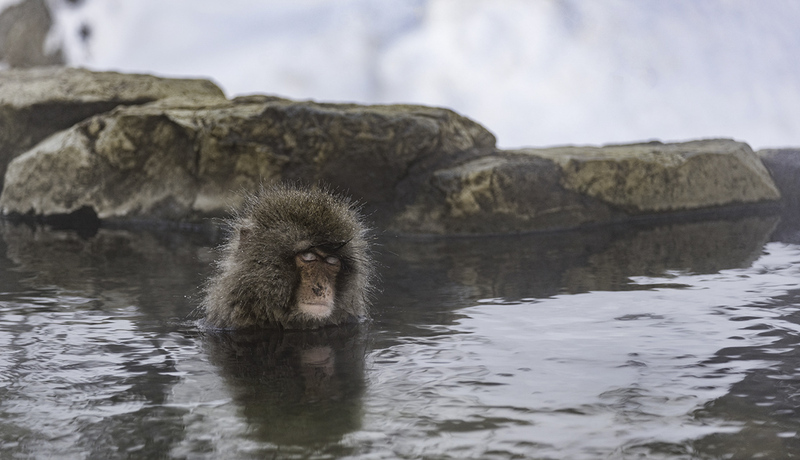 Supposedly they are the only monkeys in the world who relax in hot springs. And while they do so they look extremely relaxed. 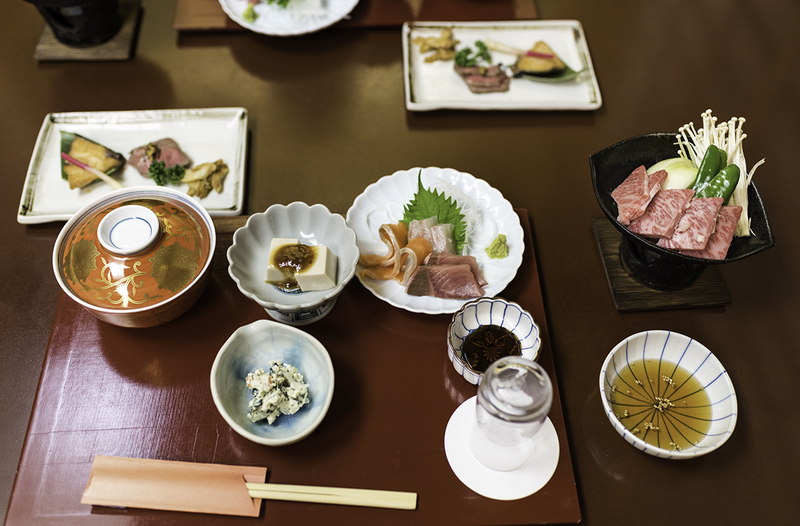 In Yudanaka we treated ourselves with a stay in a traditional Ryokan (Guesthouse) where we enjoyed our classy room, to have an Onsen right in the building and the delicious traditional Japanese dinner. a Tatami Mat is a official unit of measurement in Japan. A standard room in Japan has the size of 6 Tatami mats. in public busses the driver has a microphone and is connected to the loudspeaker system of the bus. He says goodbye and thank you to every customer leaving the bus. 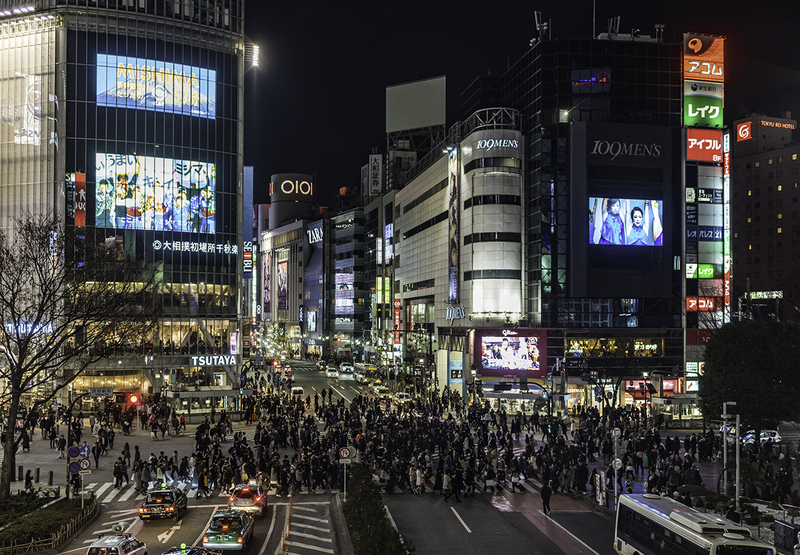 This is one of the many reasons why you will hear "arigato gozaimasu" a million times while in Japan. this astounded us: Japan is one of the cleanest countries we have been to but there is not a single waste bin in the street... no kidding! if a shop is open past midnight the opening time is often indicated as "10-27 o'clock"
Japan seems to be rather small - probably because when you look at it on a map you see it next to China and Russia. But Japan is actually much bigger than many (including us) think. Our inland flight from Sapporo to Hiroshima took 2.5 hours. we took a flight to Tokyo on a Friday evening. There were less than 10% women on the airplane. And around 5 Europeans. sometimes the speed limits were just plain ridiculous - 40 kmh on an overland road.